This entry was tagged council resolutions, Craig Gammie, government enforcement, Janice Jackson, Matt Jackson, minicipal election, Ministry of Transport, private Property, Property Rights, Provincial Control, South Bruce Peninsula, TSBP. Does this have to do with your flower boxes then? It is about complacency, incompetence, stupidity, deciet and lack of integrety. The flowerbeds are only a grain of sand in my shoe! Read Atlas Shrugged you will get the point! But Crudo’s to you as you noticed! I’m an American. 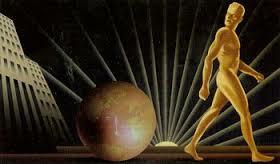 Atlas Shrugged is a way of life here. It is ignored here much to my dismay! To be an individual here is condemed! You are to do as they say for the common good. I sent a copy of Atlas Shrugged to a fellow I knew in Jail a few years back. The book was retured to me with a letter telling me it was not on the approved list of books allowed in the Correctional System. The question your post poses should be: are you suggesting that Atlas should shrug or that he has? I would be in complete agreement with the former but the latter seems at least improbable as the makers are still making the fakers are still faking and the takers are still taking. Evidence: you still whip up the finest eats in the area, Craig Gammie got elected and the MTO still exists to destroy small town Ontario! Our conversations over the Martian version of scotch in the UFO indicate that your own intention may be to employ a version of the shrug by abandoning this particular jurisdiction of your world for one with less onerous claims on your abilities. That does not solve the ultimate problem since all you do is delay the inevitable. The goal should not be to retreat to a temporary location and wait till they “progress” to what you left, but to actually shrug and encourage as many other makers as possible to join you – a task almost as formidable as fomenting revolution.